Do you need an oil change in Margate? Margate is one of the most captivating places in Florida and a great place to live in. Living the day to day can be a grind since the majority of people who live in Margate will be commuting. Do they know how important it is to get a regular auto repair service? Margate oil change is a great service provided by Tropical Performance! Why choose us for an Oil Change? Fast – We advertise that we can do an oil change in as little as 20-30 minutes depending on the vehicle type. We’re the fastest in the business, but we don’t skimp on quality either. Reliable – Having been in business for several years, we have built up a reputable client base of satisfied customers. You can count yourself among them when you bring your car to us! Family Owned – We are a family owned establishment. Soon the shop will go to the next in line, and we will always focus on quality. There’s pride in the family and pride in our profession! 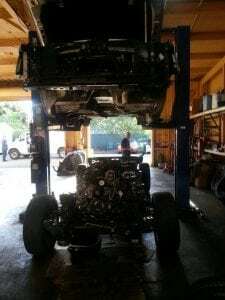 I mproves Performance – Firstly, getting Oil changes on newer cars is vital for keeping performance up. As oil is used, it thickens and becomes less effective; this is bad for the engine. Necessary for the Car – Your car needs oil to defer heat throughout the system, when it gets too thick, it can begin to linger excess heat where it doesn’t belong, which can damage the engine. Mandatory for a Car – If you let the oil stay thick for too long or if you have an oil leak and don’t even know, you can lock your engine by superfusing the slow-moving oil. 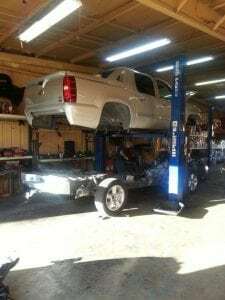 Tropical Performance is a full-service automotive repair and maintenance shop located in Davie, FL. We have been serving customers in the Broward County area for over 14 years, and our ASE certified technicians have over 26 years of experience. If you have any questions about our services, feel free to call us today!